more natural nights sleep can end! Your purchase comes with everything you need to enjoy your first night of natural, improved, more restorative sleep, with the SR1 Sleep Device. Yes, we offer a 30 day money back guarantee. See specifics on our return policy here. Is the SR1 appropriate for use on young adults and children? Questions regarding children should be directed to their family Physician. Who should not use the SR1? If you discover or suspect that you are pregnant, discontinue using the SR1 immediately. Do not wear the SomniResonance® SR1 if you are fitted with a pacemaker or other implanted device. If you have a partner fitted with a pacemaker, do not allow the SomniResonance® SR1 within six inches of the pacemaker. Users may experience vivid dreams. The SomniResonance® SR-1 has passed all safety testing required by Underwriters Laboratories. Please review the UL Technical and Safety information in the Users Manual. As a component of a sleep management program, the SR1 device has been shown to help the user fall asleep more easily, stay asleep, and provides a better quality of sleep. In 1953 it was discovered from electro-encephalographic recordings that the brain was not inactive during sleep. As we change states from being awake into the non-REM stages of sleep, our brainwave activity moves into slower more coordinated and synchronous patterns. The SR1 device works by gently mimicking the natural brain frequency patterns produced in the normal stages of falling asleep. Is it safe to use the SR1 while taking prescribed medications? YES. There are no reported contraindications when the device is used along with prescribed medications. My physician has prescribed medication to help with my sleep problems. Should I continue taking these? YES. Never reduce or stop taking your prescribed medications without discussion with and approval from your physician. What if the SR1 sleep device device doesn’t work for me? Don’t get discouraged or give up! If you are not responding to the sleep device or not experiencing desired results, you should change the battery. Although we ship each device with a new battery, in rare cases a faulty battery has made it through. Clients have reported that the green light still blinked, so they thought the battery was fine. After changing the battery the device performed as designed, and they achieved the results they were looking for. You can find the instructions on changing the battery here. What if I change the battery and I still don’t get results? Everyone is different, and it seems that the exact location of the “sweet spot” as it has become to be known, is a bit different on everyone. Each model displaying their placement of the SR1 on our website is an actual user and truly benefits from the sleep device. You will see that the placement of each of their devices is a bit different. Typically through placement experimentation, users find the best applicable location, and full benefit is achieved. You can learn more about placement and location here. Yes, The SomniResonance® SR-1 is available for personal use in South Africa, Hong Kong, Japan, Australia, Canada, Austria, Belgium, Bulgaria, Croatia, Cyprus, Czech Republic, Denmark, Estonia, Finland, France, Germany, Greece, Hungary, Ireland, Italy, Latvia, Lithuania, Luxembourg, Malta, Netherlands, Poland, Portugal, Puerto Rico, Romania, Slovakia, Slovenia, Spain, Sweden, United Kingdom, Switzerland, New Zealand and India. 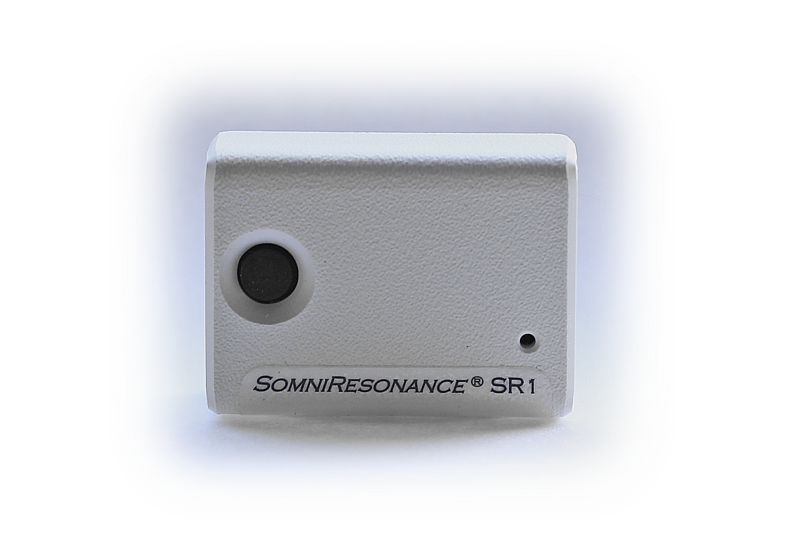 Please inquire with customerservice@somniresonance.com regarding the importation of the SR1 sleep device to a country not listed. Is the SomniResonance® SR-1 legally available for sale in the United States? The FDA has classified the SomniResonance® device as Low Risk and have advised SomniResonance®. that the device is not subject to registration, listing and premarket notification. It is legally available for sale in the United States. Is the SomniResonance® SR-1 safe to use. YES. The SomniResonance® SR-1 has passed all of the rigorous safety testing required by Underwriters Laboratories and carries the UL Certification and Safety Mark E464228. Please read the User Guide for additional Safety Information. Will the SomniResonance® SR1 sleep device work right away? For many users YES! For most clients, the results of the SR1 sleep device are realized in early use. However, everyone is different so with deep-seated sleep issues, the response period varies. We have reports from some clients that it took almost 3 weeks for them to really start seeing a difference in their sleep, but these are hard cases and ultimately they did see improved sleep. So why so long? It really depends on what the source of ones sleep issue is, and what it takes to finally initiate the rebalancing of the sleep patterns. Many with significant sleep issues have been at some time, under Physicians care or have at least had a sleep study done at a clinic. They understand that they have a sleep problem, but truly don’t know why. If you don’t respond to the SR1 sleep device, it is an indicator that there is an underlying issue causing your sleep patterns. The SR1 sleep device is being found by physicians and clients alike, to be a great barometer. The response, or lack of response to the SR1 sleep device, prompts a deeper exploration of what is actually causing the issue. It is always better to get to the source of a problem and not just treat the symptom. The SR1 sleep device has been found to be effective in doing so. Ruling out technical issues is always best. If you are having sleep performance issues from use of the device, please reach out via email to customerservice@somniresonance.com. Don’t wait until days or even weeks have passed and get discouraged. A phone call can be arranged to review your situation. Many clients have benefited from a brief phone call, discovering that changing the battery, or simple adjustments in placement or regimen with the device resulted in that much sought after improvement in sleep quality. Here at SomniResonance, our objective is to get you sleeping.